The men and women of the Stanislaus County Sheriff's Department will be laying another member of their "sheriff family" to rest at Lakewood Memorial Park. If viewing on the ABC10 app, click here to view multimedia. The men and women of the Stanislaus County Sheriff’s Department will be laying another member of their “sheriff family” to rest at Lakewood Memorial. Deputy Antonio “Tony” Hinostroza’s lost his life after his patrol vehicle collided with a power pole in Riverbank. He and the department were involved in a pursuit with a drunk driver. His death became the sheriff's department sixth line of duty death in six years. Hinostroza’s funeral will take place on at 10 a.m. Thursday, Dec. 6, as law enforcement from around the area celebrate his life and service. Who was Deputy Antonio Hinostroza? In his personal life, Deputy Hinostroza was seen as a good father and friend to everybody. His niece, Kristina Mayo, told ABC10 that her uncle was “always there for anyone in the family who needed anything.” He was someone she could talk to and always expect a reply, she added. "Tony was a really amazing man and he was a really good father and he was a good friend to everybody," Mayo previously told ABC10. "He's going to be missed by a lot of people." Professionally, Deputy Hinostroza was a veteran of the United States Marine Corps and a nearly 20-year veteran of the Stanislaus County Sheriff’s Department, serving since 1999. During a life dedicated to public safety, he served as a patrol deputy, K9 handler, Gang Detective, SWAT team member, and as a Field Training Officer. The funeral is located at The House Modesto, 1601 Coffee Road. If you cannot attend the funeral but are interested in recognizing the life and service of Deputy Hinostroza, you can view the procession from the church to Lakewood Memorial Park. The sheriff’s department expects there to be traffic delays due to the number of cars in the procession. Closures will take place between Floyd Avenue and Briggsmore Avenue from 7 a.m. to 1 p.m. Slow drive times are expected near the church on Coffee Road and Briggsmore around 10 a.m. with additional slow drive times on Oakdale Road, Santa Fe Ave, and Hatch Road. Drivers can save time by taking McHenry to avoid some of the delays. 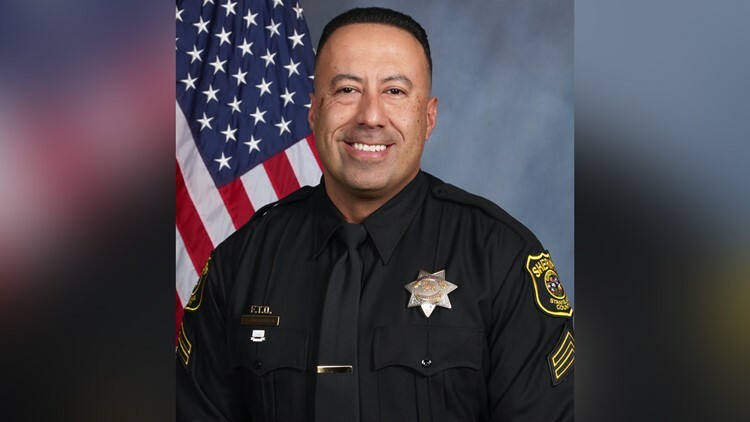 One more before you go... Deputy Antonio Hinostroza is the sixth line of duty death that has impacted the Stanislaus County Sheriff's Department. ABC10's Lena Howland sat down with the Sheriff Adam Christianson to discuss the impact of deaths on the "sheriff family" over the years.